2 Bedroom Terraced Maisonette For Sale in South Petherton for £225,000. 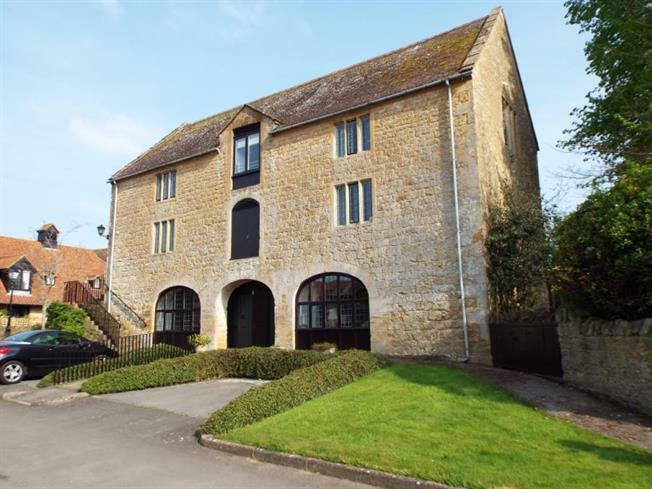 A TWO BEDROOM MAISONETTE converted from a period stone built granary which forms part of the retirement development of Hayes End Manor. The property oozes character with beamed ceiling and mullion windows. Benefits include stair lift to the first floor, attractive and maintained communal gardens, on site warden assistance, allocated parking and garage, upstairs bathroom and down stairs shower room and is exclusive to the over 55s. The property is in reach of the village centre with its wide range of facilities. Shower cubicle with Mira shower. Low level WC. Pedestal wash hand basin. Heated towel rail. Tiled splash back. Shaver point. Wall mounted electric fan heater. Wall mounted cupboard. Extractor fan. Ceiling light. Door giving access to storage cupboard. Rear aspect double glazed window with deep sill. Stainless steel sink and drainer. A range of low level and wall mounted kitchen units with roll top work surface. Built in electric halogen hob with built in electric oven and grill. Extractor fan and light over. Tiled splash back. Ceiling light. Slimline electric heater. Space and plumbing for dishwasher. Space for upright slimline fridge and freezer. Telephone point. Front aspect mullion windows with secondary glazing. Two built in double wardrobes with shelving above. Fitted suite with single mirror fronted wardrobe. Wall mounted cupboard. Slimline panel heater. Ceiling light. Rear aspect double glazed window. Two built in double wardrobes with shelving above. Slimline panelled heater. Ceiling light. Bath with side panel with mixer tap and shower attachment. Low level WC. Wall mounted wash hand basin. Tiled splash back. Wall mounted strip light. Electric heated towel rail. Wall mounted cupboard. Wall mounted electric fan heater. Shaver point. Ceiling light. Extractor fan.